More than 600 entrepreneurs from China and Arab countries discussed cooperation at the eighth entrepreneur conference under the China-Arab States Cooperation Forum which started on Tuesday in Tunis, capital of Tunisia. Chen Xiaoguang, vice chairman of the National Committee of the Chinese People's Political Consultative Conference, said economic and trade cooperation plays an important role in China-Arab pragmatic cooperation. In 2018, the China-Arab trade volume reached 244.3 billion U.S. dollars, up 27.7 percent year on year. "The Arab countries fully utilize the geographical advantages of connecting the Middle East and Africa, link their development strategies with China-proposed Belt and Road Initiative, and have achieved fruitful results," said Chen. Tunisian Prime Minister Youssef Chahed said the conference enables Chinese and Arab entrepreneurs to explore investment opportunities in various fields to achieve win-win benefits. "The conference will inject new growth energy in the China-Arab economic and trade cooperation," Chahed noted. The Tunisian prime minister also pointed out that Tunisia hopes to attract more Chinese investment in potential sectors under the framework of the Belt and Road Initiative. Kamal Hassan Ali, assistant secretary general for economic affairs of the Arab League, said the conference will strengthen the multi-level China-Arab strategic cooperation under the initiative proposed by China in 2013. 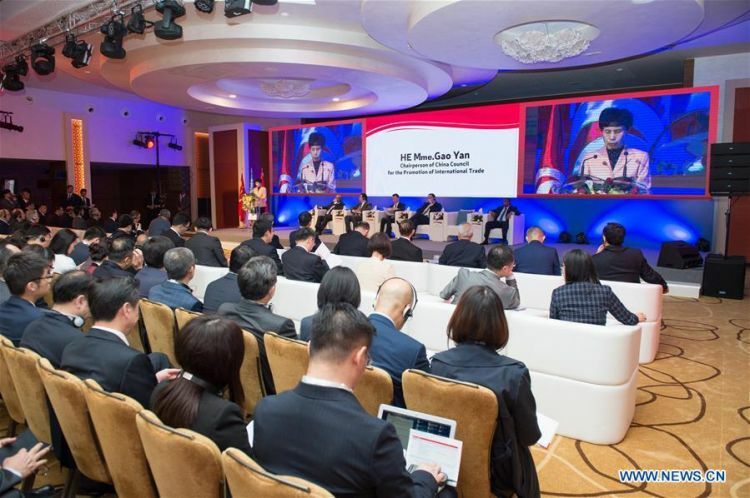 With the theme of "sharing development opportunities, realizing win-win results," the two-day event will provide a platform for investment communications in fields such as manufacturing, energies, infrastructure projects, financial investment and tourism services. This year's entrepreneur conference under the China-Arab cooperation forum is co-organized by the China Council for the Promotion of International Trade, Tunisia Foreign Investment Promotion Agency, the Secretariat of Arab League and the Union of Arab Chambers.